All of our baking is done right here at Tiramisu! Our on-premise bakery allows us to offer daily the freshest pastries, cookies and cakes for all of your special occasions. 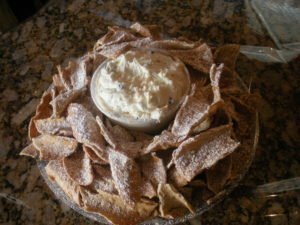 We are proud to offer an extensive variety of Italian delicacies, including sfogiatelles, cannolis, biscotti, éclairs, napoleons, St, josephs, profiteroles, lobster tails and of course our signature dessert—Tiramisu!!! 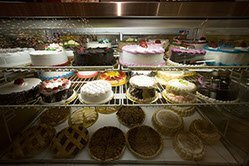 Our cookies, cheesecakes, pies and cakes are always available for you to take home. 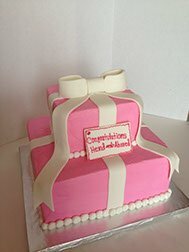 We also offer custom designed cakes for any occasion. In our bakery, we cater to all your cake desires. Every custom cake is created individually for your event, we can even recreate any design from a drawing or photograph. Photographic Edible Imaging also available. Choose Your Own Custom Cake! Let us create the perfect cake for you! We offer many types of delicious cakes, fillings and frostings. Choose your favorite combination of flavors and we will create the perfect cake for you! Bring your favorite photo or picture and we will imprint the image on your cake with edible icing. 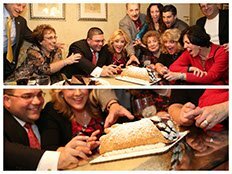 Huge cannoli filled with mini cannolis! It’s everyone’s favorite take out food transformed into a delicious dessert. 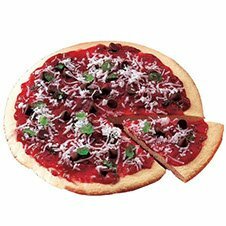 We bake a cookie and decorate with strawberry filling “sauce”, chocolate chip “sausage”, coconut “cheese” and green glazed cherry “peppers”. Espresso flavored sponge with mascarpone cream and whipped cream, dusted with cocoa. White cake, cannoli filling, fresh whipped cream. White cake, vanilla and chocolate custard, fresh whipped cream. White cake, coffee flavored custard, coffee flavored whipped cream. Chocolate cake, fresh bananas, strawberry filling and fresh whipped cream. Carrot cake, cream cheese filling, decorated with walnuts. Chocolate cake, cherries and fresh whipped cream, shaved chocolate. Chocolate cake with chocolate mousse filling. White cake, vanilla and chocolate custard, fresh whipped cream and Italian rum liquor, decorated with almonds. Puff pastry layered with vanilla custard topped with icing. White cake, fresh strawberries, vanilla custard and fresh whipped cream. Chocolate cake, vanilla cake with chocolate mousse filling. Chocolate cake filled and topped with Chocolate Ganache. Small binge filled with chocolate mousse, towered and covered with chocolate dipped strawberries. Puff pastry layered with raspberry filling and cream cheese, covered with whipped cream and towered with small binge filled with sciantile cream. Cakes available in the following sizes. Don’t see the cake/pie/pastry you want? Special Orders –Just Ask!!! We even make German Chocolate Cake, Red Velvet Cake, Coconut Custard Pie, Banana or Chocolate Cream Pie, and Wheat Pie. We also offer fresh baked pastry and cookies for any occasion though our in house bakery!